I love maps. In fact, I depend on them so much that I can't write without a map of the places I'm writing about. 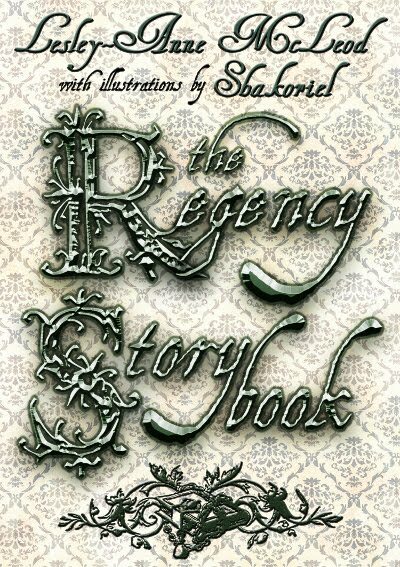 That's fine when my story takes place in the recent past, but what about when it happened a couple of hundred years ago? Old maps are hard to obtain, unless one has deep pockets. Many of them are only available in the larger libraries, often far, far from home. If they are reachable without international travel, staff tend to laugh uproariously when one asks to borrow them. They are also available from dealers in art and antiquities, for prices ranging from a mere arm and leg to one's soul. Even Google is woefully thin when one searches for old maps of England. I was recently disappointed to find only three pages of links, and many of them were duplicates. The rest led to dealers, and we've already noted their cravings for arms and legs and other irreplaceable body parts. A number of years ago I was doing some research at the University of Oregon's Map Library. Fabulous place for someone like me, and I kept getting distracted from what I was supposed to be doing every time I ran across an interesting map. The very best one was actually a set of very large maps, copies of an old Ordnance Survey map of England, published, I believe around 1840 (It's been a long time and I've misplaced my notes). Each map was about two-thirds of a meter high, a full meter across. The scale was probably around 1:5,280 (one inch to the mile--England hadn't gone metric yet), which is a very large scale indeed. Topography was shown with little drawings of mountain peaks and tiny cliffs. Major rivers were winding ribbons and brooks were squiggly lines. What made them fascinating to me was the labels. 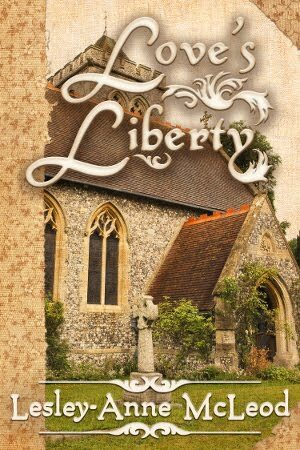 Estates, farms, cities and town, and even cemeteries were labeled. Wikipedia has an excellent overview of the various Ordnance surveys (http://en.wikipedia.org/wiki/Ordnance_Survey ). 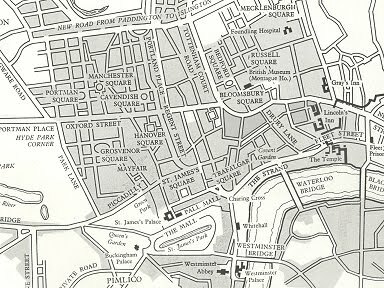 While they tell little about the people who lived there, the Ordnance Survey maps tell quite a lot about where they lived and why. Topography and drainage has a lot to do with choosing a home site or a location for a village. They also have a tremendous influence on the locations of roads, many of which just happened. Unlike our modern freeways, early roads went where walking was easiest, where one could haul a cart filled with firewood, where a stage on a tight schedule could make good time. 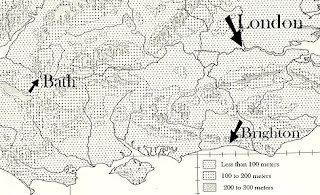 Here's a small section from a topographical map of England, published by Oxford University Press, on which I've marked the approximate locations of our favorite places: London, Brighton and Bath. 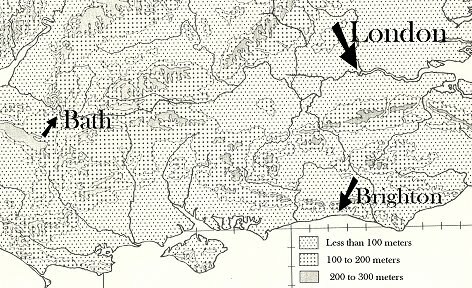 If I ever write about a race between London and Brighton, guess where I'll look first (short of seeing for myself), so see what sort of topography Our Hero will face. Maps are essential if places matter to a story. I found this lovely little map in a book titled A Hundred Years of Georgian England, from the accession of George I to the heyday of the Regency (Hastings House Publisher, New York; ISBN 8038-5365-3). The shaded areas show built-up areas in 1730, the rest was filled in by 1830. Imagine someone going off to seek his fortune in India in 1796. What changes he would see when he returns in 1811. Maps are not, of course, substitutes for going there and seeing for yourself. They do, however, greatly enrich your understanding of a place. And when you do go there, be sure to take a map along, because without it you'll be lost. 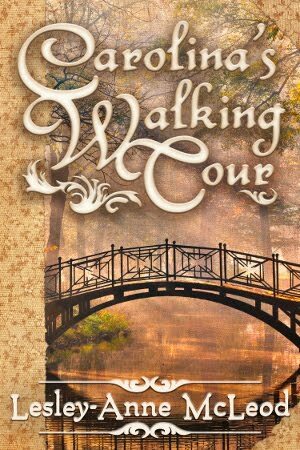 On her way to a career as a writer, Judith B. Glad made a lot of detours, but eventually she decided she had to write those books that had been growing in her head for years—romances all. 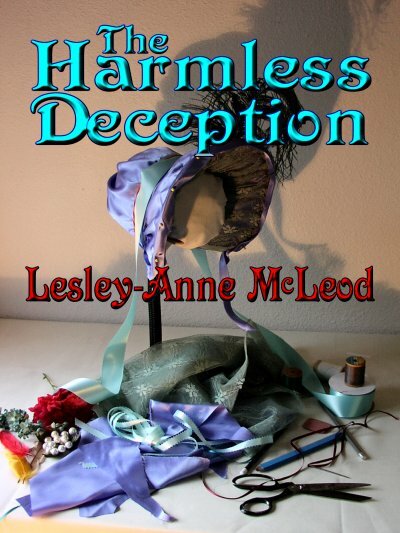 She believes every story should have a happy ending, even if it requires two or three hankies to get there. 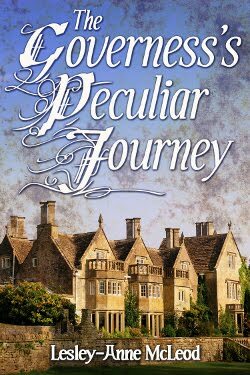 After growing up in Idaho—the locale of several of her books—Judith now lives in Oregon, where flowers bloom in her yard every month of the year and snow usually stays on the mountains where it belongs. It's a great place to write, because the rainy season lasts for eight months—a perfect excuse to stay indoors and tell stories. 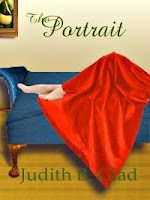 Visit Judith's webpage at www.judithbglad.com to learn more about her books. While you're there, take some side trips to view early 20th century picture postcards, read about 5,000 ways to earn a living, and see what a Mentzelia really is. 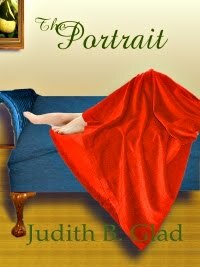 Lord and Lady Curran expect their daughter's portrait to convince potential suitors of her beauty, her worth and her desirability. Of course, it must also show her as a perfect, obedient, demure lady. Kermit Sutherland is a popular portraitist, so of course he is engaged to produce the portrait. What Chastity's parents don't understand is that Sutherland paints more than the surface. He has a knack for seeing into a woman's heart and soul. 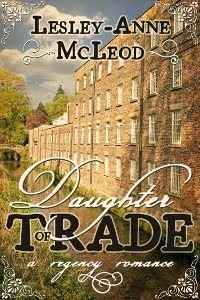 Under her obedient façade, Chastity harbors a rebellious heart, and Sutherland sees it and encourages it. When her portrait is finished, it might show more than her parents--or she--have bargained for. 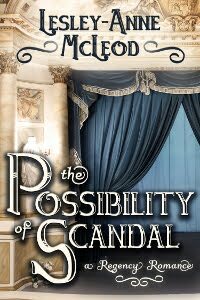 Carlton House—for the Regency buff, the very name is redolent of luxury, excess and mystery. It is lost, you see, that great palace created, furnished and maintained at immense expense by the Prince Regent. The Prince and his architects had chosen a French neoclassical style to build upon, and they did an admirable job. But they spared no expense and in only two years there were huge unpaid debts—something over 200,000£. 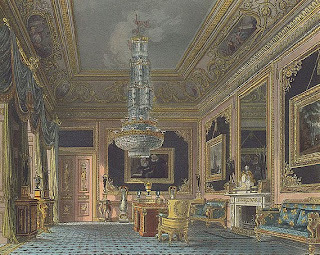 Nevertheless, Carlton House was a show-place, a fit setting for a beauty -and-pleasure-loving prince. 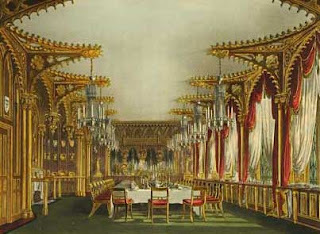 There were over 450 fine paintings in the house, it contained arguably ‘the finest armoury in the world’, and the plate-room ‘collection [chiefly gilt plate] occupies the three sides of a large room,” and included the remains of King Charles’ plate (silver and gold dishes) and other early pieces. The blue velvet room exhibits the undeniable luxury. In later years, the Prince Regent’s love of diversity overcame the elegant simplicity of the neoclassical design. A chinoiserie drawing room, a Gothic conservatory and a Gothic dining room were added in the early 1800s. 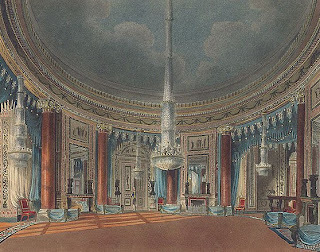 The ‘Carlton House set’, the ‘Carlton House desk’, and of course ‘Carlton House Terrace’ which succeeded the palace ensure that the name will never be forgotten. Thank heavens we did not lose the Brighton Pavilion (it was a near run thing) in the same manner as Carlton House was disposed of. 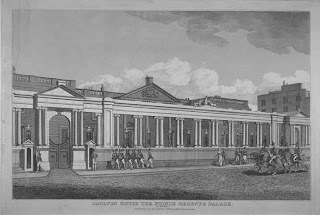 It was the Prince himself who tired of Carlton House and when he succeeded in 1820 he decided it was an inadequate palace for his new monarchy—along with St. James Palace, and Buckingham House, his father’s favourite. In the end it was Buckingham House that was rebuilt as a palace and most of the furnishings and contents of Carlton House were, thankfully, transferred to it. 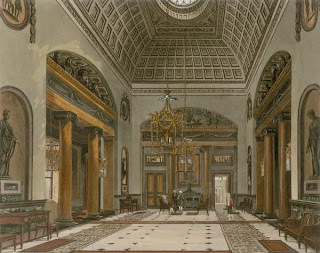 Carlton House was the palace that Jane Austen visited, when it was indicated she might dedicate a book to the Prince Regency. 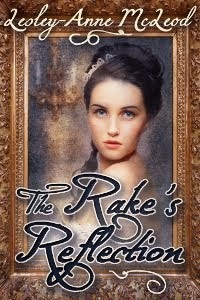 For that alone it deserves to live in our memories, but no doubt it will always glitter in Regency fiction and romance. Next week, Jude Glad, romance author and Uncial Press publisher will visit to talk about one of her favourite periods, The Regency, and maps. 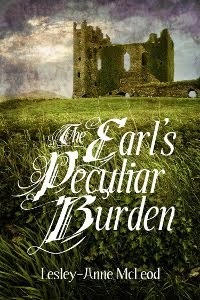 Visit Judith's webpage at http://www.judithbglad.com/ to learn more about her books. While you're there, take some side trips to view early 20th century picture postcards, read about 5,000 ways to earn a living, and see what a Mentzelia really is. Please join Jude next week! I’ll be back in two weeks. If you thought that dating agencies were a 20th century innovation, think again. 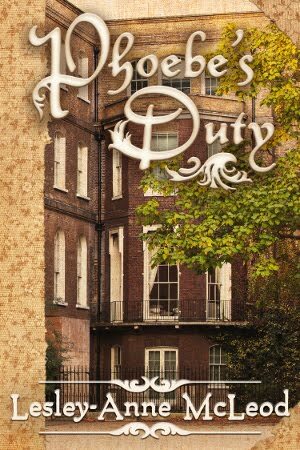 In 1818, the Outinian Society—originally called the Matrimonial Society—was actively involved in promoting successful marriages between select and approved parties. This medallion bears a Greek motto on one side and a picture of the grandfather of Society's founder (William Penn) on the other. It all began in 1815. A poem entitled “Marriage”—extolling the virtues of early and happy nuptials—was published. The author was anonymous. The poem was embraced by the public as being full of proper sentiment, “at once a moral and elegant production”. I have been unable to locate a copy of the work itself, but it apparently referenced John Milton’s views of marriage from Paradise Lost in its opening lines, and I imagine it built on those fulsome views. We might today find those thoughts a little grandiloquent and overblown, and it seems that a group of gentlemen in 1817 did also. They proceeded to lampoon the poem, and the institution of marriage, to such an extent that John Penn, a bachelor of fifty-eight at the time, was moved to form a “matrimonial society”. He issued a prospectus for the organization and actively solicited applicants for membership. Penn was a grandson of William Penn and spent considerable time in America before settling permanently in Britain. He quickly garnered a groundswell of support for his new venture from his wide acquaintance. 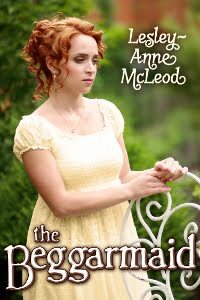 The group was patriarchal in nature, formed of like-minded gentlemen who hoped for the “final discontinuance ...of those hasty, unpremeditated marriages which (cause) unhappiness.” They had the audacity--to modern eyes--even to prepare a “Table Shewing the Exact Situation in Life and personal Qualities of Known Marriageable Ladies.” They then invited these ladies to their lectures, with a view to “turning the discourse upon topics relative to their common object”. In 1818 the name of the society was changed to the “Utinian” or “Outinian Society”, a name taken from the Greek motto of the group and from some references to a quotation from Homer’s Odyssey. The change was made I think partly to deflect criticism of its aims, for at the same time, they spoke a little less about their original matrimonial endeavours. From its first six lectures in London in 1818 the Society went on for the next four years to hold lectures across England from Bath to Windsor and Cheltenham to Weymouth. 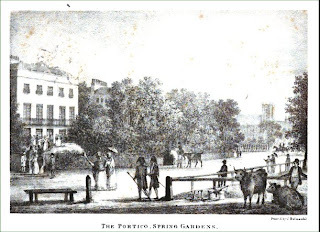 The caption under this picture (from the Records and Proceedings of the Outinian Society) reads: The Portico, Spring Gardens. No. 10, New Street, the only Portico belonging to J. Penn Esq. with the Company assembled as it appears during the delivery of the Outinian Lectures, every Saturday throughout the season. Despite an avowed change in outlook, the lectures were held with an extensive tea break during which attendees were encouraged to meet and mingle with a view to becoming acquainted and possibly building relationships which might lead to marriage. 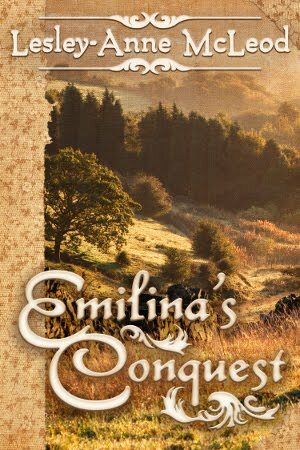 The topics of the lectures would curdle the blood of any right-thinking feminist including as they did, an ‘Estimate of the female character’, and ‘remarks on the education of females as connected with marriage’. It occurs to me to wonder what the women attending the Society meetings thought of the subject matter of the discussions. There are no records accounting the number of successful marriages promoted by the Outinian Society. By 1822 the group was well enough known to publish its “Records of the Origin and Proceedings of the Outinian Society”. But it was not long lived and John Penn outlived his creation by only ten years—dying, as he had lived, a bachelor. All quotes are taken from the “Records of the Origin and Proceedings of the Outinian Society” available for download from Google Books. 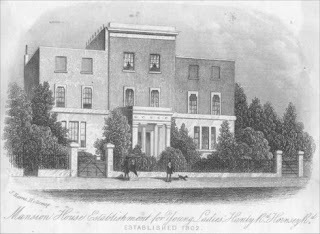 The address places the school in north London, the date places it firmly in the extended Regency period, but I have been unable to find any further information on it. 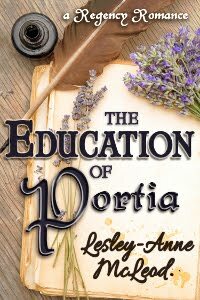 When I found no facts on Mansion House School I was compelled to invent its story, and it became the basis for my book “The Education of Portia”. 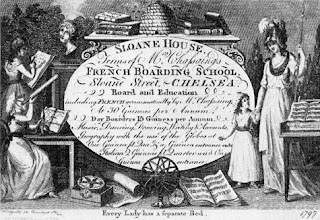 My fascination with the picture led me to further research on the private schools for young ladies which abounded in the Regency era. In fiction the schools have been immortalized by Thackeray in Vanity Fair “Miss Pinkerton’s academy for young ladies”, by Dickens in his Sketches by Boz “Miss Crumptons’ Minerva House” and by Jane Austen herself in Emma with Mrs. Goddard’s school. Schools, at the time, were generally for the well-born, or at least the well-to-do. Clients expected that their daughters would be instructed by ladies on how to become ornaments of society. Joyce Pedersen in an article in the Journal of British Studies1 states “The function of the lady who taught was not, then, so much to transmit expert knowledge as to serve as a model of elegance and moral rectitude for her pupils”. These ladies were for the most part gentlewomen who had fallen upon difficult financial times, and they organized their establishments along the lines of a family household. The quality of education in these schools varied widely. 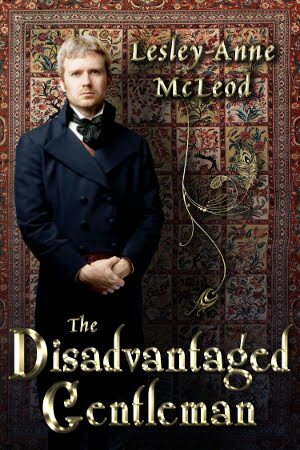 They accepted anywhere from five to thirty-five pupils, and taught as little as dancing, deportment and French, or as much as arithmetic, geography, history, and languages. There were no government regulations regarding the schools and there was no teacher training available for instructors. Those few schools which seriously taught academic subjects had a considerable body of material with which to work. 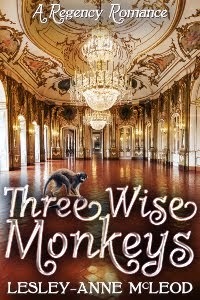 There was also a surfeit of moral instruction available, foreshadowing the ponderous rectitude of the Victorian era to follow the Georgian age. Some of the books available to a schoolmistress with the wit and the inclination to actually educate her pupils included Lowndes’ History of England, John Grieg’s Young Ladies’ New Guide to Arithmetic, Walker’s Elements of Geography, “Letters on the Improvement of the Mind addressed to a (young) Lady” by Hester Chapone, and Brown’s Elements of English Education. 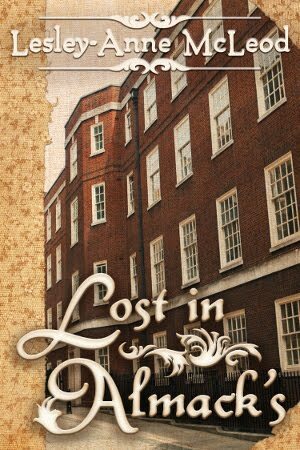 ‘Academies’ in London and Bath patronized by the wealthy and noble likely emphasized the evanescent social skills which a young lady about to enter the beau monde required. They charged as much as 150 guineas a year. 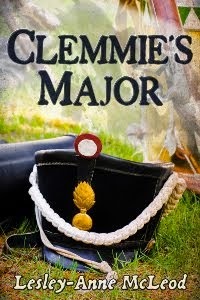 Provincial schools may have provided a more sensible, down-to-earth atmosphere which produced a happier, more content young lady for considerably less than half that price. In either institution a girl’s education may have depended more on her own inclination than on the classes her school provided. A studious young lady would always find a way to learn. I often wonder whether the Mansion House Establishment was one of the ‘society’ schools or a more serious institute of learning. 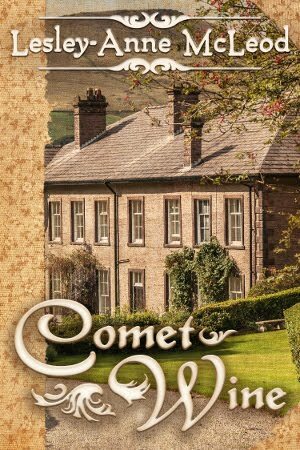 The story I created for it put it firmly in the latter category, and Portia the schoolmistress was one of those teachers of wit and discernment. But I’ll never really know what it was like and that, for me, is the charm of history. 1 Pedersen, Joyce Senders. "Schoolmistresses and Headmistresses: Elites and Education in Nineteenth-Century England" The Journal of British Studies, Vol. 15, No. 1. (Autumn, 1975), pp. 135-162.